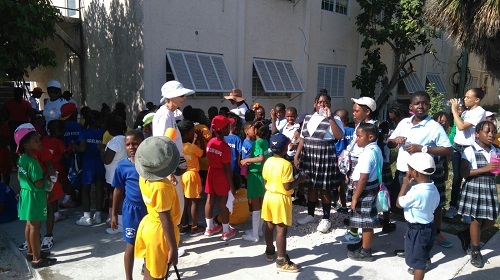 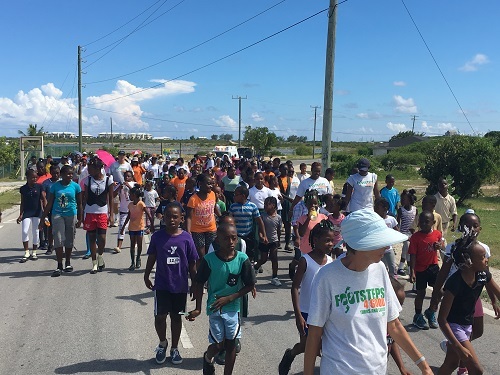 Providenciales, 22 Oct 2015 – Three hundred strong turned out in South Caicos between the schools and community members there for the Footsteps4Good Charity Walk held this past Monday. 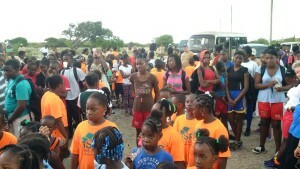 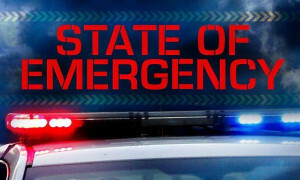 This is the second year for the event started and spearheaded by Jill Beckingham, the Governor’s wife. Colorfully dressed children paraded through the streets in an effort to raise funds for 13 charities in the country selected as this year’s beneficiaries. 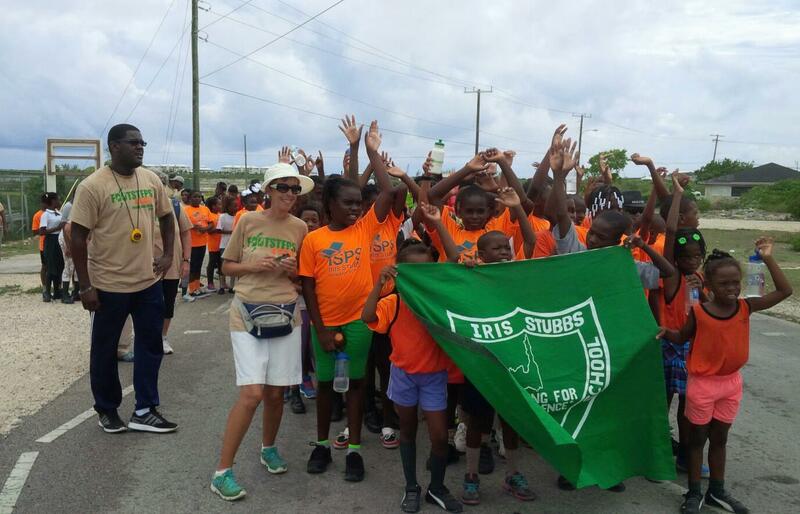 Photos provided by the island’s District Commissioner, Yvette Cox revealed that there were overcast conditions in South, but the group pressed on for an outstanding showing.